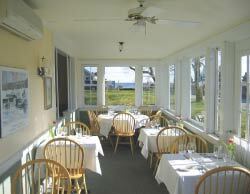 Nestled on a side street just off Route 28 in Harwich Port, the Cape Sea Grille serves some of the finest fare on Cape Cod. Using the freshest local ingredients and native seafood, chef owner Douglas Ramler creates an ever changing menu of creative American cuisine that's true to the heart of Cape Cod & New England. The wine selection complements the seasonal menus while remaining reasonably priced.